The Flying Dutchwoman, ​Ranomi Kromowidjojo​, has some serious credentials to her name. Kromowidjojo is a four-time Olympic medalist (three gold, one bronze) and a 12-time World Championship medalist (three gold, four silver, five bronze). She's also the eighth-fastest performer of all time in the 50m freestyle as well as the ninth-fastest performer of all-time in the 100m freestyle. Kromowidjojo is the real deal. On Saturday at the 2017 TYR Derby Pro in Louisville, KY Kromowidjojo dropped a spicy 24.58 in the final to take home the crown and $4,000 grand prize. Of note, her time is also seventh-fastest time in the world this year. 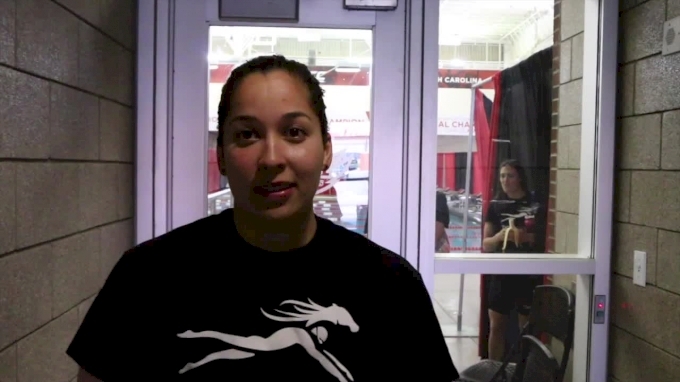 In the interview, Kromowidjojo talks about the meet and her experience in Kentucky.